If you’re looking to improve the resilience, productivity and innovative thinking of your people then you’ve come to the right place. Whether it’s helping you to develop and retain your high-fliers, or helping to build happier, more dynamic teams, we can help. We don’t sell off-the-shelf courses. We talk to you, find out as much as we can about the challenges facing your people and then put sessions together that we think will give you answers. Sometimes it’s a quick fix, sometimes it’s a longer haul. 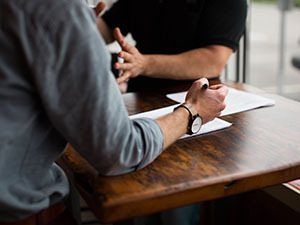 Whether focused on high performers, those at pivotal points in their development or wider groups, such as managers and leaders, we can work with you to develop a programme that is specific to the needs of your organisation. Elements that we commonly utilise include 360-degree feedback, career mapping and planning, personality profiling and team roles and profiles. Our workshops apply the latest neuroscience and psychological theory to the challenges of corporate life. Geared towards sharpening delegates’ focus and performance shaped by your business needs, our courses provide tangible insights, practical tools and techniques that deliver optimal performance. 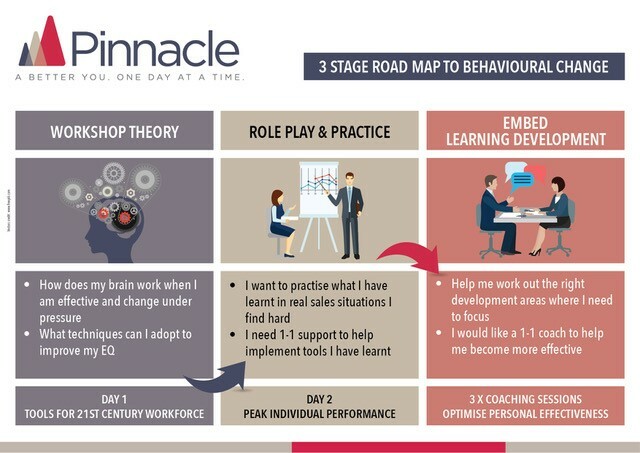 All of Pinnacle Excellence Open courses can also be delivered in-house and tailored to your specific organisational needs. One to one coaching is the most focused intervention in support of executive excellence. Our experienced coaches can work with your staff at critical stages of their career and at the leading edge of your corporate delivery. Coaching also has a key role to play in support of staff who may be struggling to perform or in whom behavioural change is a pre-requisite for continued development. Our roots in psychology enable us to manage a broad spectrum of such issues. When the stakes or tensions are high, it can be helpful to have an external facilitator to lead sessions. Examples include debriefing and lessons learnt sessions, change management, team-building and mediation meetings. Working with you to prepare, deliver and plan next steps, we can provide the psychological insight that enables people to move forward from such potentially destabilising situations in a positive and effective way. We partner with Firstbeat Lifestyle Assessments to provide personalised insights on your stress, exercise and sleep. With Firstbeat, you can create successful wellness, resilience and performance programs for your people. We partner with Promote to provide blended learning solutions. With Promote, your learners receive a journey that gives the full value of your training investment.